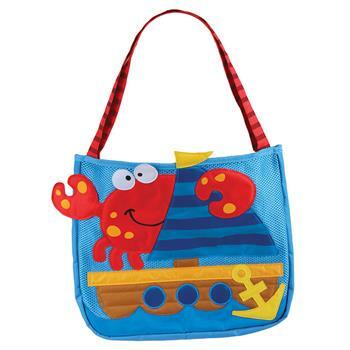 Our adorable beach tote is the perfect gift for any tot who loves to play in the sand! 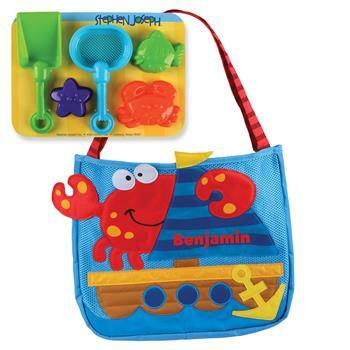 The bag measures approximately 15" x 13" (not including the handle) and includes a sand toy play set! The toy set includes two shovels and three beach-themed molds.